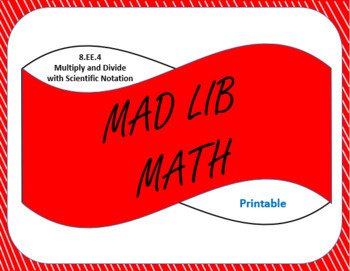 Your students will have a blast and practice their math skills while doing this mad lib math activity. Low prep for you and fun for your students! All you need to do is print copies of the 15 slides and the answer sheets and then hang them around your room. 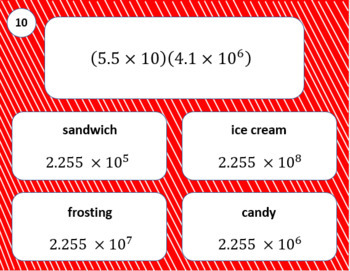 Everything is provided for you, including an answer sheet for easy grading. Students work through all 15 slides. 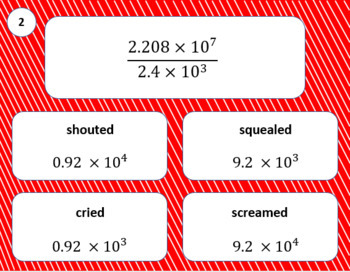 Each slide consists of a problem and four possible choices. Students select their answers and then write down the corresponding word into the appropriate spaces on the story sheet. The answers will create a silly story. If the story is correct you, and your students, will know they have done the problems correctly. I am posting new products all the time so be sure to follow me to get updates and find out about sales and specials. I’d also love to hear your feedback, and don’t forget you earn points towards free TpT purchases when you leave feedback!